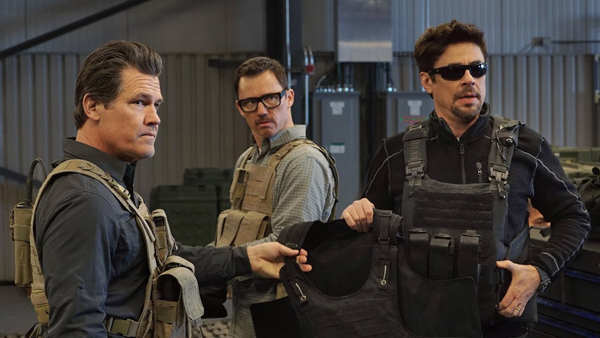 Benicio Del Toro and Josh Brolin star in "Sicario: Day of the Soldado," the sequel to the Oscar-nominated thriller "Sicario," directed by Denis Villeneuve ("Blade Runner 2049"). In the film, the American government conspires to start a war between drug cartels in Mexico, to justify starting a war. Matt Graver (Brolin) and Alejandro Villick (Del Toro) kidnap the daughter of a cartel boss, Isabela (Isabela Moner) but when she witnesses too much, their loyalty to one another is tested. William Bibbiani describes "Sicario: Day of the Soldado" as "uniquely dissatisfying," and says this sequel "strips away the meaning and the hypnotic visual style from the original."